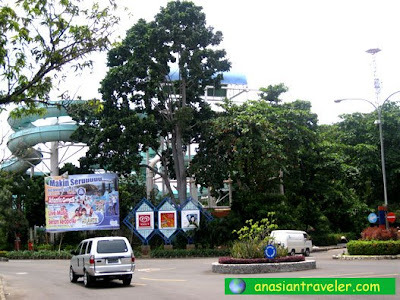 We were walking along the road when we only had a fleeting glimpse of Atlantis Water Adventure. 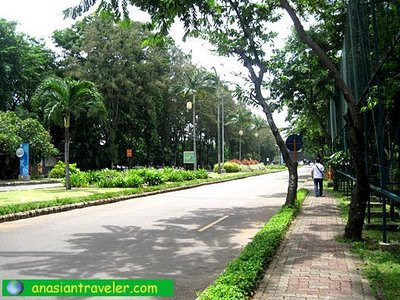 This area is a family recreational center known for different type of marine sports and recreation like water cycles, canoes, sail boats, fishing gear and a lot more. But we decided to move ahead to the next place. 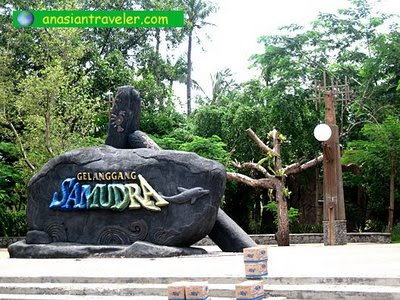 I was drop dead tired and sweating like a pig with weathered face when we arrived at Gelanggang Samudra. Walking in excruciatingly hot weather could definitely result in agonizing torture. I never imagined that we had to walk a country mile just to reach our destination. Phew! We should have ridden the Gondola cable car. Hb is so used to walking. I am not. I regretted our decision totally. Under the shade of trees we sat quietly down to rest. 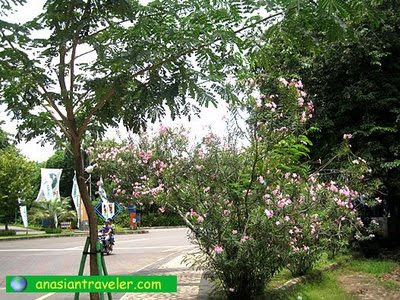 After a couple of minutes, we went on and followed the paved trail as it wends down its way to Gelanggang Samudra, which is just located next to SeaWorld Indonesia. 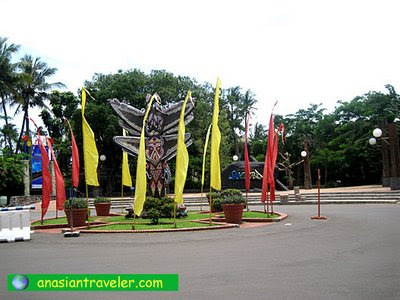 We decided to make our way first to SeaWorld, the first underwater facility in Indonesia with thousands collections of Indonesian tropical marine life. We paid Rp 30,000 each for the admission ticket. 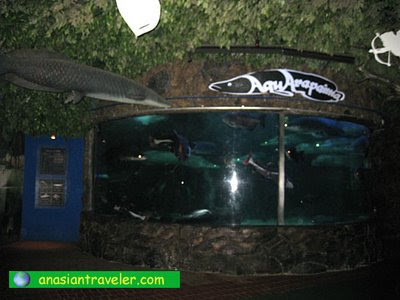 Inside are displays of diverse marine aquarium (saltwater), fresh water aquarium, Dugong and Shark aquarium. What delighted me more is the Holoquarium. As soon as we soaked our hands deeper into the tank of water, tiny Dr. Fish swarmed around and started to nibble gently and scraped off the dead skin. Since it was my first time to try I was a bit nervous that it might hurt, but it soon turned into a chuckle of amusement. It really has a unique tingling sensation. And hb seems to have gained more devoted admirers compared to me. Hmm, does it mean... hahaha... Kidding aside, there's only one thing that concerns me though if these are really sanitary. 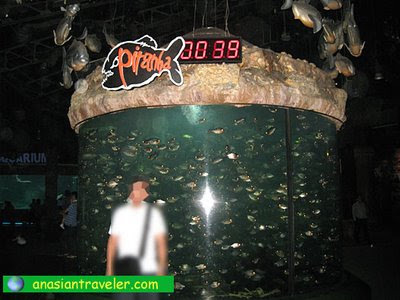 Another one interesting aspect of SeaWorld is the Piranha Aquarium. 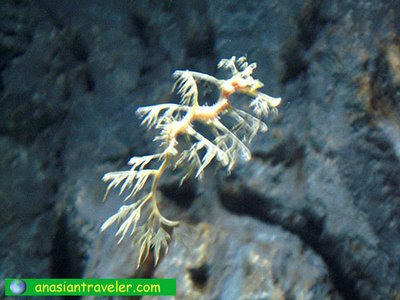 This fish is known for being a voraciously carnivorous. 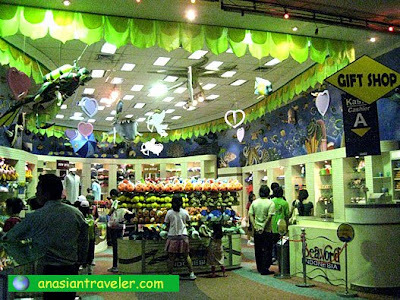 There's also a unique facility located on the second floor where all the fishes and other sea animal can be seen in an actual size through the window. 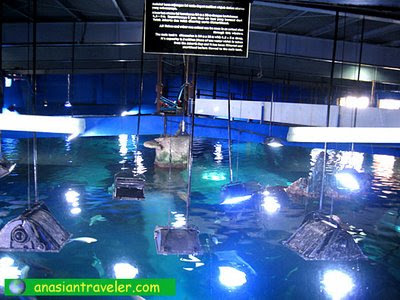 The main tank's capacity is 5 million liters of sea water which is taken from the Jakarta Bay and it has been filtered and sterilized before flowed to the main tank. 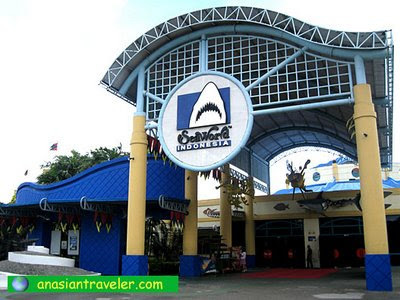 Another features of SeaWorld are the Antasena Tunnel (an 80-meter walk-through acrylic tube with conveyer), and a theatre that screens sea life-films and are played daily in English and Bahasa language. 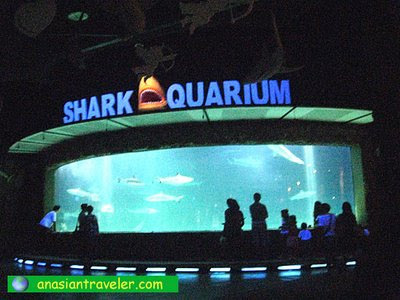 SeaWorld Indonesia isn't really big if compared to Shanghai Ocean Aquarium. 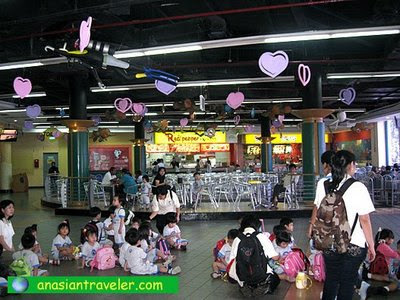 But some people said it is better in comparison to UnderWater World, Sentosa Island in Singapore. 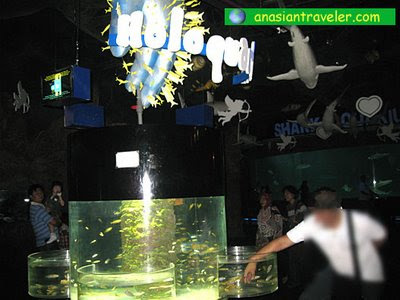 However, I can't vouch for this as I haven't been able to visit the oceanarium at Sentosa Island. It's a pity that you had to walk that long. 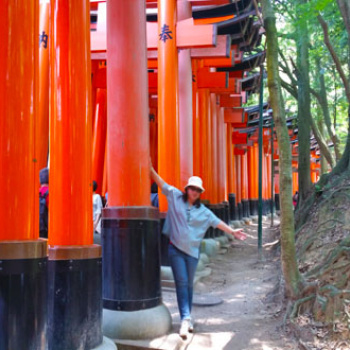 But I bet,it was worthwhile after seeing those beautiful Indonesian attractions you shared here. Wishing you a fantastic weekend! Take care! 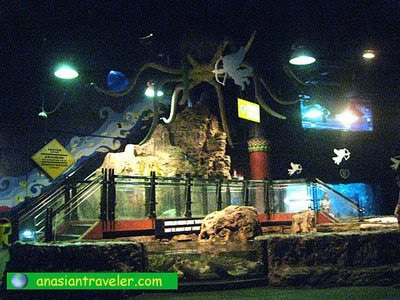 I enjoyed the Oceanarium in HKG Ocean Park. Incidentally the cleaner guy was inside the huge aquarium, so that was an added attraction that time. I had seen one guest on wheelchair. But I hadn't really noticed if it's a wheelchair user friendly place.